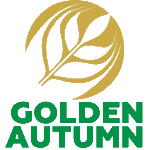 Dear friends, thanks for visiting us at Agricultural Exhibition "Golden Autumn" 2016 exhibition! We are hoping that our meeting will be the start of successful collaboration. Dear friends, thanks for visiting us at Agricultural Exhibition "Golden Autumn"! We are hoping that our meeting will be the start of successful collaboration. Dear friends! 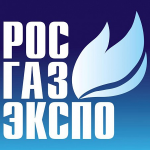 LED Microsensor NT LLC will be participating at RosGasExpo in 4th-7th of October at the Rusnano group booth. We invite you to visit us there! New D-51i and D-41i LED drivers have been released. D-51 and D-41 LED drivers became obsolete and are no longer available. Thanks for visiting us at Sensor+Test 2016! Dear friends, thanks for visiting us at Sensor+Test 2016 exhibition! We are hoping that our meeting will be the start of successful collaboration.